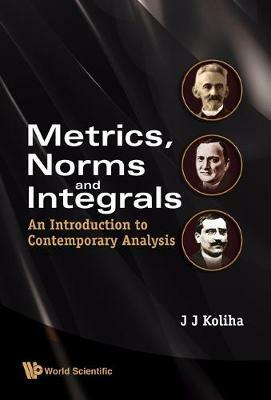 Metrics, Norms and Integrals is a textbook on contemporary analysis based on the author's lectures given at the University of Melbourne for over two decades. It covers three main topics: metric and topological spaces, functional analysis, and the theory of the Lebesgue integral on measure spaces. This self-contained text contains a number of original presentations, including an early introduction of pseudometric spaces to motivate general topologies, an innovative introduction to the Lebesgue integral, and a discussion on the use of the Newton integral. It is thus a valuable book to inform and stimulate both undergraduate and graduate students.